Are there any limitations on directory (folders) names? Due to server configuration, we advise you not to name any directories admin, icons, script or scripts. There are no known restrictions other than these. Please refer to your account setup instructions which are retrievable from Member Section. Can I access my account using Telnet or SSH? 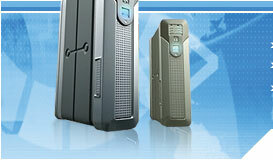 VIP PowerNet is a shared hosting service provider. Due to security reasons within a shared hosting environment, you will not be able to access your account using Telnet, SSH, SFTP (SSH File Transfer Protocol) or SCP (Secure CoPy). You will be able to access your account using FTP access. Details on how to publish your website using FTP can be found at the Tech Support Tutorial. Does VIP PowerNet have a maximum file size for transfers to the FTP server? No. The only limitation on the maximum file size for uploading to the server is the remaining disk space you have for your account. Does VIP PowerNet support anonymous FTP access for client web hosting? No. VIP PowerNet does not offer anonymous FTP access for client web hosting at this time. How do I publish my site using FrontPage Extensions? When you are using the FrontPage Extensions service or have FrontPage Extensions enabled, your publishing method will be different. You will be using the HTTP method to publish to http://www.yourdomain.com, instead of the FTP method of publishing your files to ftp://ftp.yourdomain.com. More information can be found at our FrontPage Extension Tutorial. How do I transfer my files to VIP PowerNet web servers? Your web files should be transferred to VIP PowerNet web servers through FTP (File Transfer Protocol). We have created a graphical tutorial page to walk you through the process. More information can be found at our FTP Tutorial Section. How soon after uploading my files will my website be able to be viewed online? Your HTML files should be visible immediately after uploading to the server. If you cannot view the updated files immediately, the problem may be caused by a browser cache. Please clear or delete your browser cache files (temporary internet files) and try viewing the website again. You may also wish to test your website with a different web browser. I am receiving FTP errors, what do they mean? 401 This service not accepting users now, goodbye. This means that the FTP server is congested and refusing connections. Please retry FTP again later. 431 Log-on unsuccessful. User and/or password invalid. This means that you may have entered the wrong user id and or password. Please check that the user id and pw you are using is correct. This means that the file you requested cannot be found. Ensure the filename is correct or try looking in a different directory. This means that access to reading, moving renaming or deleting this file is restricted to you. If this is a file that you should be able to access, please report to our support staff. This means that you have used up your web storage capacity. Either delete some unnecessary content or make a request to upgrade storage space to us. This means that you are probably behind a firewalled network and it may be blocking FTP access. Please disable the firewall or contact your system administrator. 500 FTP: Command not recognized. This means that you have tried to use an invalid command. Please check that the command that you are using is correct. 530 FTP: Not logged in. This means that you have not logged into the FTP server. Please login to the FTP server. I cannot FTP to my site, I get a '530 Not logged in' error. This error message possibly indicates that your account setup is not complete yet. We suggest that you try accessing it again in 12 hours. This error message possibly indicates that the user ID you have entered is incorrect. Please ensure that you are entering your VIP PowerNet Member ID as the user ID. If you are not sure if your password is correct, you may use the Forgot Password function to retrieve your account login information. I have uploaded my files, but I still get an "Under Construction" page? When you first upload your site you need to replace our index.htm file with your default page (please name it as index.htm), otherwise our under construction page will remain the default. Make sure you are using all lower case letters when naming your index.htm page. Is there any restriction on when can I update my website? You may update your site whenever and as many times as you wish. There is no restriction on your FTP access. 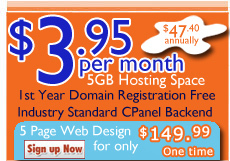 What happens if my site ends up requiring more than allotted disk space? If your web files on the server reach the allotted disk space limit, the server will reject your attempts to upload more files with an 'Disk Quota Exceeded!' error message. You will need to order a disk storage space upgrade from Member Section. SSH also known as Secure Shell provides secure logon for Windows and Unix clients and servers. It works like telnet, but SSH replaces telnet, ftp and other remote logon utilities with an encrypted alternative. Telnet is a terminal emulation protocol commonly used on the Internet and TCP/IP-based networks. It allows a user at a terminal or PC to logon to a remote computer and run a program. B) request additional disk space via Member Section.